Icelolly is claiming to be the first deals and price comparison website to allow users to compare real-time deals year-round. 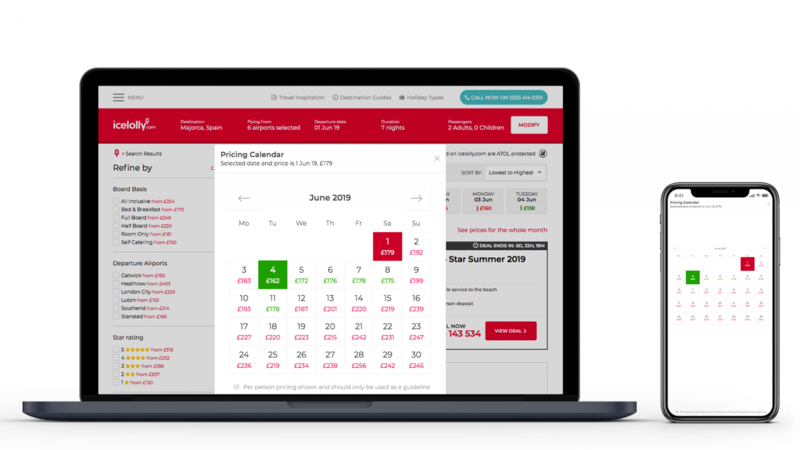 Its new year-round pricing calendar allows users to compare deals over 12 months to see how prices vary by departure date, and they can refine their search using a range of criteria such as type of hotel, star-rating, budget or board basis. It has also launched a Deals Collection that curates deals, making it easier for customers to select relevant offers. It breaks deals down into specific groups, such as all-inclusive, family, luxury and cruise, and seasonal offers including beach, winter sun, faraway and ski, as well as by destination. The Deals Collection also features a selection of curated 'editor's picks' that showcase the top deal across all categories. The company has also relaunched its destination guides with a new look, imagery and curated content. The top resort destinations link through to icelolly's new pricing calendar. Since the Deals Collection was launched last month, the most popular categories have been all-inclusive and city breaks, closely followed by beach holidays. The most popular destinations have been Tenerife and Amsterdam, followed by Benidorm, the Algarve and Turkey, while the most popular destinations for summer 2019 Majorca, Tenerife, Netherlands, Costa Blanca, Turkey, Lanzarote, Portugal, Fuerteventura, Gran Canaria and the Costa Del Sol.